Please be aware that this is purely a listing service. None of the nurseries have been verified by Oxford Mumbler. Parents need to make their own enquiries and check references. Please see our full terms and conditions. ABC Nursery offers parents and carers a family inspired approach to childcare. Set in homely and spacious peaceful surroundings where childcare is delivered in small groups guiding children through the Early Years Foundation Stage. Bainton Road Nursery is primarily for the fellows, students, lecturers and staff of St Johns College. Balliol College operates a small friendly Day Nursery. It does not have separate rooms for different age groups; the children are cared for all together. Balliol is a vegetarian nursery. Our devoted team of childcare experts have designed our nursery to suit the needs of young children aged 3 months to 5 years by embracing the notion of safe nurturing and learning through play. Recognised as Outstanding by Ofsted. We prioritise outdoor play. Children’s days are packed full of daily, age appropriate activities designed in line with EYFS principles. Ofsted rated ‘Outstanding’. Little Troopers Day Nursery is right at the heart of the community in East Oxford. The best way of discovering what our nursery is all about is by visiting. Please do get in touch. Through a process of astute observation and a carefully optimised environment at the setting, we strive to ensure your child is provided with the “right” conditions to encourage him/her to blossom. We are committed to ensuring that we provide a happy and secure environment where children flourish whilst developing the life-long tools for learning. Monday to Friday 8.30am to 5.25pm – plus an additional half hour at either end of the day if needed. Established in 2000, Pippins offers full nursery facilities and a high standard of equipment in a homely environment. The nursery has a purpose designed garden area, with a separate baby garden. We are an independent children’s nursery offering high quality full day child care and excellent pre-school education following Montessori philosophy. A child-centred environment in the heart of the city, which provides an oasis of play and colour in Oxford’s busy urban landscape. 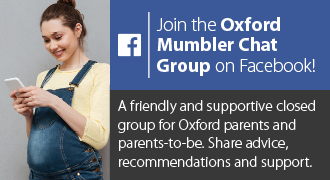 We are proud of our strong local reputation as one of the most progressive nursery schools in the local Oxford area. We use fun, innovative methods at our playgroups to inspire growth, confidence and success. Because our values are important to us we want them to be important to our children so we do all we can to help them understand why Democracy, Openness, Equality and Social Responsibility are values to trust. The Mulberry Room is the childcare provision of Grandpont Nursery School and Children’s Centre and provides year-round childcare for children in a welcoming and nurturing environment. The Old Station Nursery Ltd is a young and dynamic company which operates children’s day nurseries and out-of-school-clubs in Oxfordshire, Gloucestershire and Berkshire. We are passionate about caring for the needs of children and second only to safety our prime concern is to create an environment to nurture the best start in life. Located in beautiful countryside, our nurseries offer parents the highest quality childcare and a preschool education of excellence.